In our last post on buffer overflow we studied about how a program is stored and executed in memory and some stuff about processor, registers, etc. In this post we are going to learn Stack based buffer overflow exploit and will write a simple exploit for a vulnerable program. So Let's consider a few basics first. We all know about the decimal system that has base 10 which we learned growing up. It consists numbers from 0-9 and then 10,11,12,..... You might also be familiar with binary that has base 2 and counted as 0 , 1 , 10 , 11 , 100 , 101 , 110, 111, . . . . which are 0,1,2,3,4,5,6 respectively in decimal system. Similarly hexadecimal is number system with base 16, means you count from 0 to 15. It goes as 1,2,3,4,5,6,7,8,9,A,B,C,D,E,F,10,11,...... The numbers from 10 to 15 are represented as A-F. Let's take number FF. It can be represented in binary as "1111 1111" and in decimal as 255. 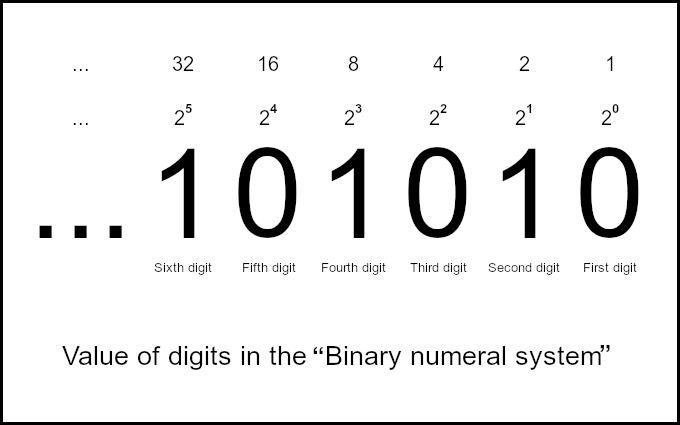 Every digit in binary is known as a bit. And 8 bits make 1 byte. 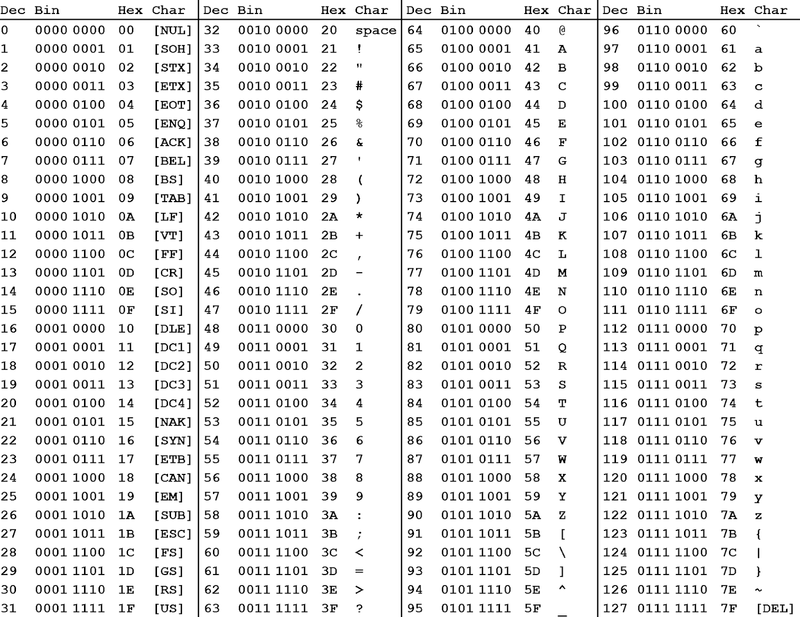 So FF is of size one byte and each hexadecimal character is of size 1 nibble that is 4 bits. Also notice FF and "1111 1111" are greatest in their series so hexadecimal is rather a very good way for representing binary in a short way. 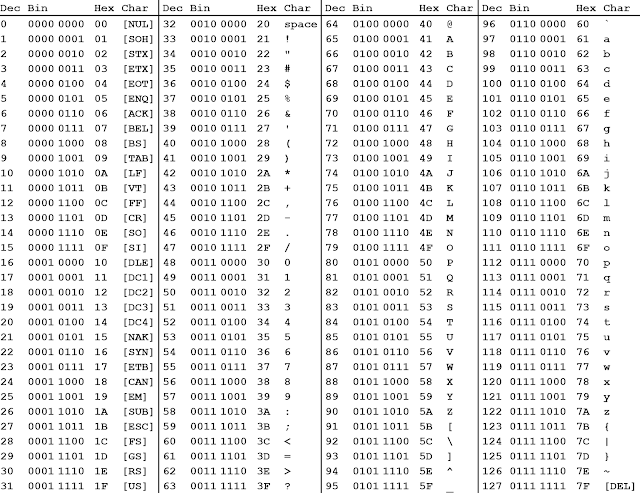 128 of these numbers are given special characters to represent in the ascii table which we see daily. You can also view man page of ascii in linux command line with "man ascii". Remember there are 255 numbers available but only 128 are assigned. So if you sometime open a binary file in text mode you will see lot of ambiguous characters. These are those left 127 numbers. Now what's all this ? Show us some buffer overflow exploits bro. Let's consider this simple C code named buf.c. It can be part of a large program. It just takes a string as argument from user, copies into a buffer of size 100 bytes and prints that back. A program may be more complex but basic idea is same. Let's compile it. I am using a 64 bit Ubuntu 17.10 running on a 64 bit intel cpu. gcc -fno-stack-protector -z execstack buf.c -o buf Did you notice the flags -fno-stack-protector and -z execstack ? These flags actually disable some protection mechanisms applied by the compiler. Since we are just learning basics we will do with most protections disabled. -fno-stack-protector this disables the Canaries which check for stack smashing and -z execstack removes NX bit, DEP , makes the stack executable as we need to execute shellcode from our stack. These can be bypassed by for example return to libc attack which we will learn in future articles. Some more mitigation techniques are ASLR, PIE, etc. and set 2 to 0. Set it back again to 2 ,to turn on aslr. Setuid bit is a flag which allows the executable to run with privileges of it's owner. That means if there's set-uid-root flagged binary with owner root then it will execute as root irrespective of the user. Any non privileged user can run it as root. If implemented improperly this can cause problems and give root privileges to non-root users. There are already alot of setuid binaries in system like sudo,su,chsh,passwd,ping,mount, etc. If you can exploit them, you may get root privileges in the system. You can use following command to find all setuid binaries owned by root in / . Let's set setuid bit to our binary. That 's' instead of 'x' shows setuid flag and owner is root. If we run the binary now it will run as root. There are many sections inside an executable like headers, .init, .got, .plt, .text, .fini and function definitions. You can view and disassemble them with objdump Discussing them isn't in the scope of article so you can read them online or I will make a post in future on them. Now let's load it in GDB and analyze what's inside the binary. GDB is GNU Debugger. According to it's man page the purpose of a debugger such as GDB is to allow you to see what is going on "inside" another program while it executes or what another program was doing at the moment it crashed. You can also use peda - Python Exploit Development assistance with gdb to help you in reversing and analysis of binary. I will be using Intel assembly syntax. Assembly is just mnemonics for hexadecimal to make more human readable. You can view hex form with hexdump or xxd command. Here I have disassembled the function 'main' and described each instruction on right. 0x00000000000006ba <+48>:    lea     rdi,[rip+0xa3]    # 0x764    ; rdi = "Input was: %s\n"
Hmmm. So it gives us idea of what actually happens on stack when we execute the program. While going through assembly instructions it's actually good to keep a note of registers for better understanding. It helps a lot. If you open lot of programs and analyze their address space you might notice that they have same memory location. Damn how is that possible ? It might lead them to overwrite each other ? Nope. Actually the programs are loaded into their own virtual space with virtual addresses and they are mapped to physical memory addresses by an unit called Memory Management Unit (MMU). This can give more security, easier to manage programs than shared memory, and processes can also use more memory than actually available by technique of paging. For more info read about Virtual addressing and paging. Let's draw a sketch to visualize the memory layout. As you can see both return address and rbp are overwritten with 'A's and rip now points to 0x414141414141. A more easier way to calculate offset is by help of metasploit patter_create.rb script which creates a specific pattern and you can query some bytes from pattern to find offset. Run program again with this string as argument and check registers to calculate offset. We will calculate for rbp. now let's query 0x3964413864413764 from rbp. The rbp starts after 112 bytes. You can make your own script to create such patterns too. 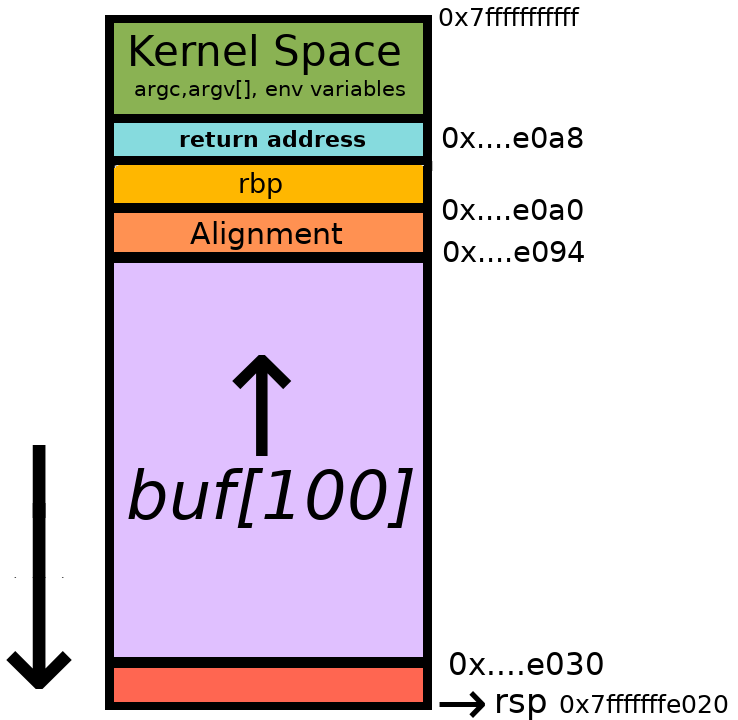 We have 100 bytes space for our 24 bytes shellcode. I will fill the payload with (100-24=)76 bytes junk then shellcode then some junk to overwrite 12 bytes alignment space and 8 bytes rbp and then the return address. So our payload looks like payload = 'A'*76 + shellcode + 'A'*12 + 'B'*8 + return_address. We don't know the return address yet so we will just run it with any return address and when the program crashes we will just examine memory and calculate return address. Great we hit return address correct. Let's dump some memory from buffer and determine return address. x/100x $rsp-200 will dump 100*4 bytes from memory location of rsp - 200 bytes in hex form. You can print them as char strings with x/100s <address>. We subtracted 200 bytes from rsp as function's epilogue is done and address of rsp has changed. You can also set breakpoint before epilogue and dump memory directly. You can see alot of 'A's (0x41) and then our shell code and 'B' and 'C' too. We need to replace return address with address of shellcode. It's [0x7fffffffe078+0x4]=0x7fffffffe07c . But it was very tedious to find and might change a bit outside gdb. Why it will change I will tell later in the post. Think about it till then. May be we can come around a simple alternative. Let's check the address by replacing it in our payload first. The most CPUs we use daily are little endian. It means we have to put the address in reverse order of bytes. So return address will look like \x7c\xe0\xff\xff\xff\x7f. '\x ' is just to convert to raw bytes. Bingo. We executed /bin/sh and got a shell. /bin/sh is actually /bin/dash. But wait a min ! It was a suid executable right ? Then why it didn't give root shell ? Actually gdb won't allow you to call root process when running as user. Anyways we will deal with that later outside gdb. As you saw finding return address was tedious task. An alternative is we can fill up the stack with"nop sled". NOP(No Operation) is just a cpu instruction which does nothing and just slides the rip(program counter) to it's end. It's op-code is'\x90'. If we fill the junk before the shellcode with nop sled we can land anywhere and still slide to our shellcode. First let's examine memory with nop sled. Choose any address with 0x90 from 0x7fffffffe030 to 0x7fffffffe07c and we will hit our shellcode. I am taking 0x7fffffffe078. Preferring closer to shellcode as the stack may shift outside gdb. 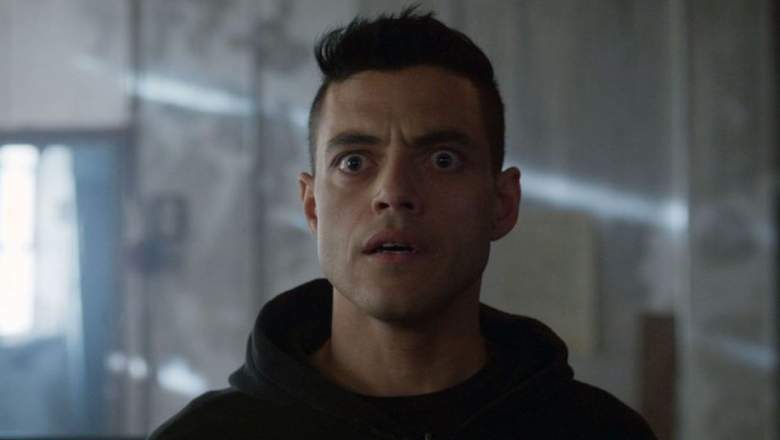 Let's make a python script for our exploit this time. return_addr=(ret[2:].decode('hex'))[::-1] #convert return address to little endian. Time to test our script ! Booom ! We got shell. But wait ! Again why it's not a root shell even if executable is setuid-root ? setuid(0);               //setuid(0) will set uid to root again. Running exploit on this code will give you root. But of course we can't always control source code. But we can control contents of stack. We can replace our shellcode with one which first executes instruction to setuid(0); and then '/bin/sh' . Cooool. I will be using this 48 bytes shellcode. Let's fix our exploit for this shellcode. And now time for executing our script ! 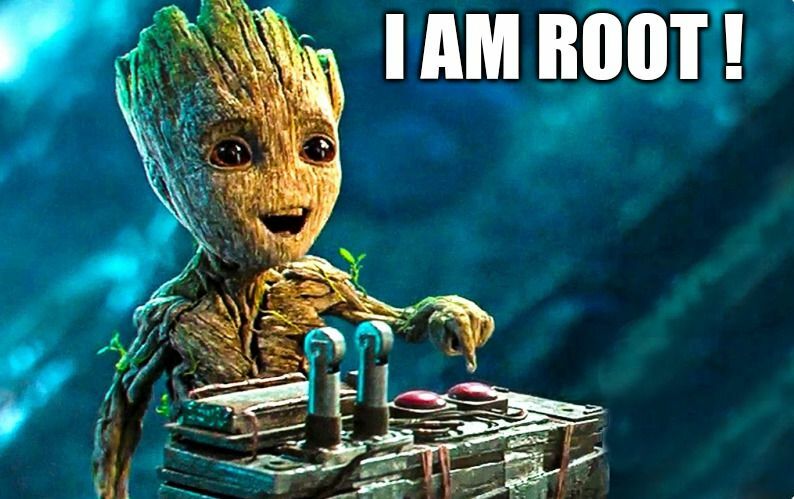 Ladies and Gentleman, we are root ! If you still couldn't get shell try shifting your return address as stack may shift in different environments. If you dump a large region of memory as string in gdb with x/600s $rsp you will start seeing environment variables and some other stuffs much down like this. These can cause shifting in address of your stack. But you can use these for your advantage too. You can store your environment variable containing shellcode or nop sleds in memory and make return address point to it. Though finding it's address can also be bit tedious, you can also save your nop sled and shellcode after the return address in memory and then point to it. This type of exploit will work like this. return_addr=(ret[2:].decode('hex'))[::-1]    #convert return address to little endian. This can be helpful in case if ASLR is on. You can make environment variable with lots of NOPs and increasing your chances of hitting one of the address. What is your name? Hello ����������������������������������������������������H1��iH1�H��/bin/shH�SH��H1�PWH���;j _j<XAAAAAAAAAAAABBBBBBB���� ! Though this was a relatively simple and basic exploit we saw how we can escalate our privileges to root from setuid-root binary. This can be case with any vulnerable program. Any vulnerable service running as root can provide root access. Also if this kind of service is running on a remote port it might open ways for remote exploitation. Such type of memory corruption bugs have always been very notorious and despite mitigations techniques hackers have found ways to bypass them. This was a really long post and we learned many things in it. First we learned about hexadecimal numbering system and ASCII table, compiled vulnerable code and learned about a few mitigation techniques and about setuid flag. Then we disassembled and went through each assembly instruction, learned about Virtual Address Spacing, examined registers of program in case of stack smashing and determined size and offset for our payload. 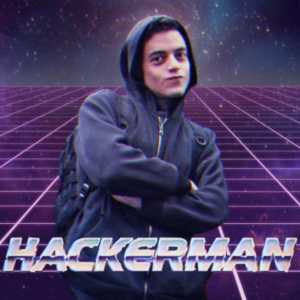 Then we loaded our shellcode on stack and executed it, and saw how we can get root shell, wrote a script for it and also executing shellcode by exporting it to environment variable and executing it plus a tip. First of all understand everything properly. Clear your doubts. Practice by making your own program. Practice disassembling. You can find some exploit exercises online too. Learn more C and Assembly. In next articles we are gonna learn how to bypass few mitigation techniques, make our own shellcodes, some memory corruption bugs and attacks like return to libc, ret2got, ret2plt, Format String exploit, Integer Overflow, Heap Overflows, etc. We may also solve or make some exploitation challenges.